Charming Midwood Bungalow! Walk to all that Midwood has to offer? Stay in and enjoy your rocking chair front porch and back deck? You choose! Built in 1941 and totally renovated in 2007, this home blends old and new effortlessly! 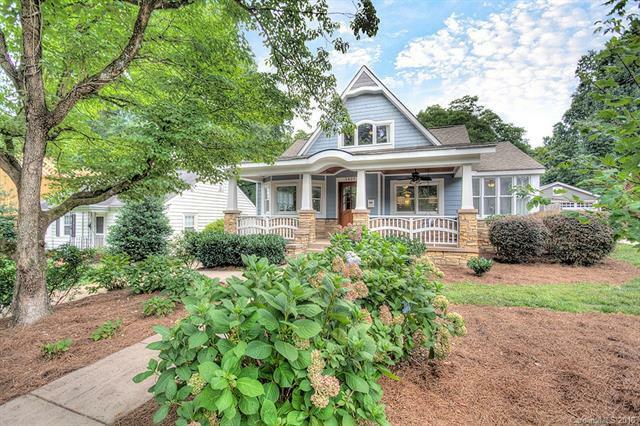 Open floor plan, original hardwood floors, picture molding, custom window seats and carpentry! This home is full of architectural charm, with arched detail both inside and out! Updated kitchen with stainless steel appliances, granite counter tops, gas range! Spacious master suite with walk-in closet, dual vanities, separate soaking tub and walk in tile shower! Beautiful office, filled with natural light! Great curb appeal! Great back yard! Mature landscaping! Welcome Home!